The Wireless Geophone has a two channel operation at ranges up to 75 feet. 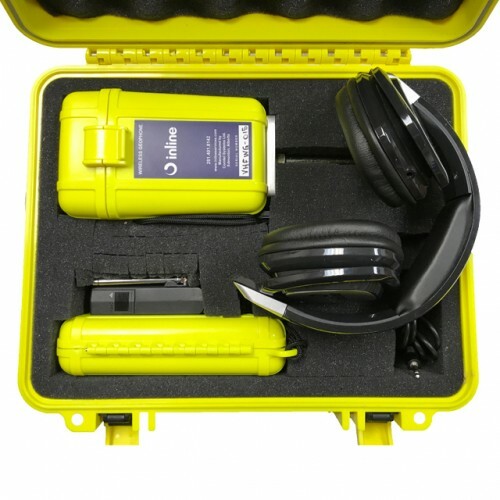 It is housed in a water-tight case for use in any type of weather condition. This geophone has exceptional sensitivity, low noise, and signal clarity allowing it to detect acoustics approaching and departing. 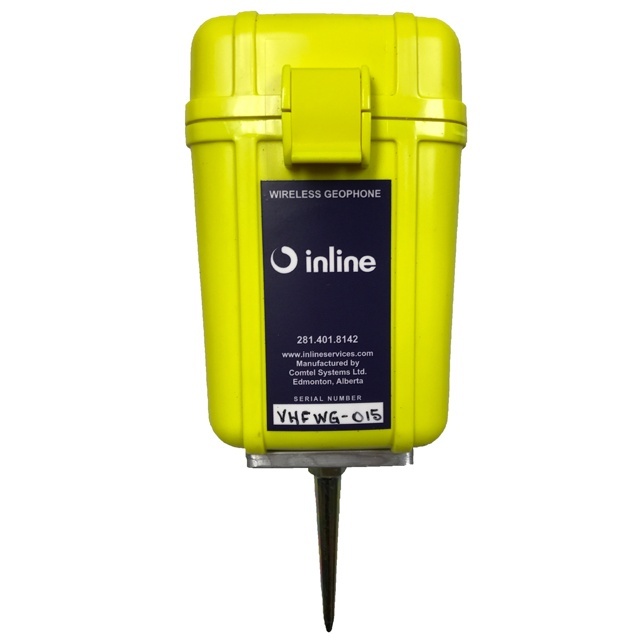 The geophone transmitter uses 4 C-Cell batteries giving it greater than 150 hours of battery life. The wireless unit is light weight and easy to use. The kit comes with a wireless receiver that gets placed on the vehicle dash. Earphones can be plugged into the geophone receiver or the device can be plugged directly into the vehicles auxiliary input. 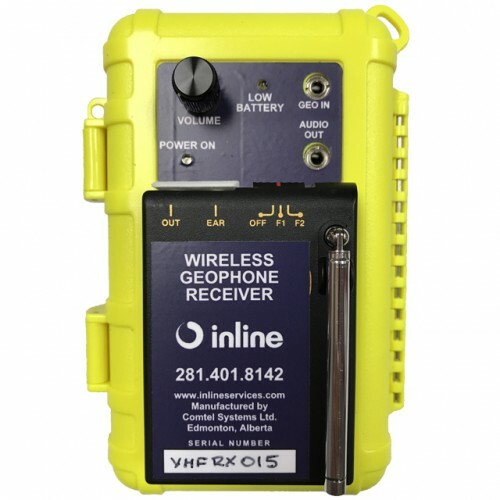 The receiver can be used with a wired or wireless geophone at the same time. As an option, the receiver black antenna unit can be turned off and the unit can be used as a wired geophone by plugging the wired geophone cable into the jack labeled “GEO IN” on the main receiver case.